Life before having a baby was easy. Those were the days when you may not have noticed noises around the home that would in the future impact day-to-day life: a barking dog, door slamming, neighbor beeping the car horn, and the list goes on. After surviving the first week or so at home with a newborn it becomes clear that there’s a need to soundproof your baby’s room to block out these types of residential noises inside and outside the home that will disrupt a child’s sleep. Quiet Curtains are an easy solution to soundproofing any room in the home, but particularly in a baby nursery. Picture this. It’s finally time for the baby’s nap and you’ve successfully rocked them to sleep and are able to transfer him or her into the crib. It’s time for you to enjoy a cup of coffee, perhaps a shower, TV show, or even a nap. The doorbell rings, the dog starts barking like crazy, and the baby wakes up. No naptime today! This story is all too common, and parents are desperate for a solution to block the noise from the baby’s room so they can stay asleep. Our soundproof curtains and drapes are lab tested and field proven to protect your baby from outside noise, climate, and light, providing maximum noise reduction inside a baby’s room and the peaceful environment they need for optimal rest. Quiet Curtains reduce noise by 20 decibels! Children need rest (and so do parents), but noises around the home and neighborhood can prevent this from happening. 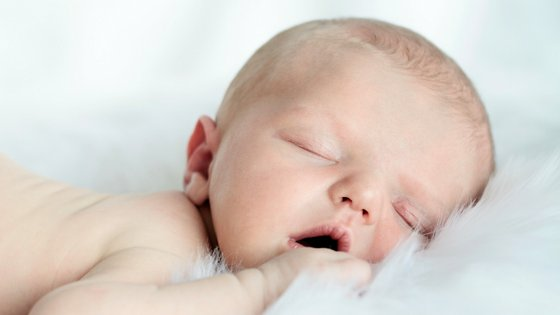 Some schools of thought indicate that it’s better for children and babies to get used to loud noises and sleep through them. But if the thought of running a vacuum while the baby sleeps gives you anxiety, rest-assured our Quiet Curtains will do the job and get you through the first years in one piece. Worried you may not hear the baby crying through the sound blocking curtains when they do finally wake up from a restful nap or peaceful night’s sleep? That’s why baby monitors were invented (and how far they have come–with video, breathing monitors…). Contact us today so we can help to match you with the right curtains to soundproof a baby’s room. Quiet Curtains are easy to hang, can be made with any material, and look great in any room of the home. Everyone in the home will rest easy once sound blocking curtains are installed to keep the noise out of a baby’s room. Peace and quiet is just a phone call away; we’re here and waiting to match you with the right sound blocking and dampening curtains for your home environment and baby’s room.